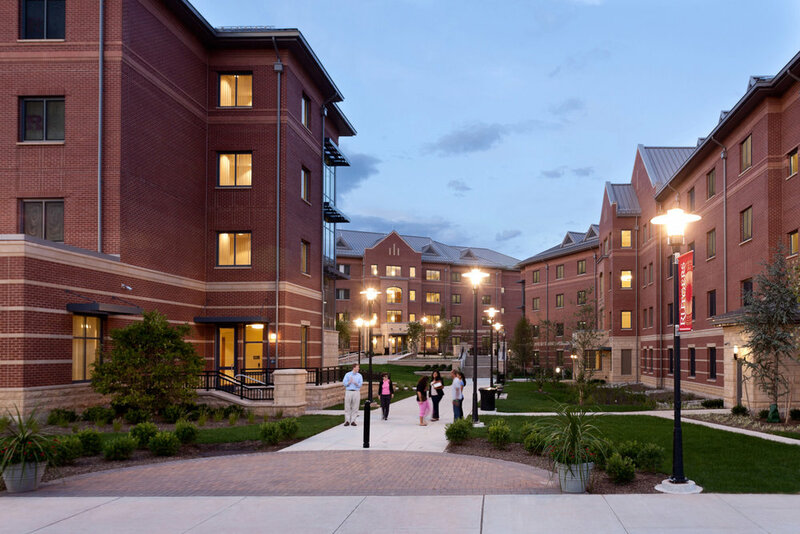 Prompted by an inadequate inventory of student housing, Rutgers’ BEST Hall creates an integrated on-campus experience. The 501-bed complex incorporates three residential buildings and its own energy plant. To spur greater student-faculty interaction, BEST includes a computer lab that can morph into a classroom. The exterior facades harmonize with surrounding buildings and the outdoor space design facilitates pedestrian flow between the residential and academic sections of the campus, attracting students to the new area.